A fan club is a group of people who tell an actor he's not alone in the way he feels about himself. Despite the success and recognition the show brought him Williams thought theatre film and television were superior forms of entertainment. Several years later Williams turned down work with Orson Welles in America because he did not like the country and had no desire to work there. 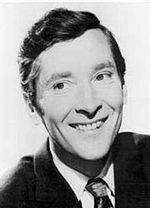 Kenneth Charles Williams (22 February 1926 – 15 April 1988) was an English comic actor and comedian; much loved by the British public.